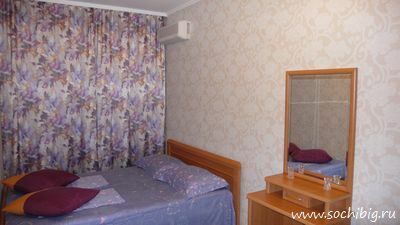 We offer accommodation in the Seaside Sochi, the central district of the resort city. 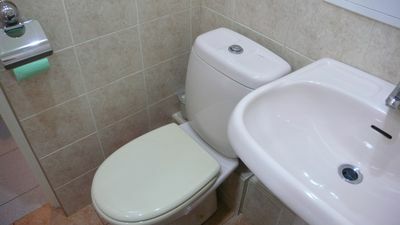 The charming 2-roomed apartment is located in the Park street, on the second floor of the five-floor house. 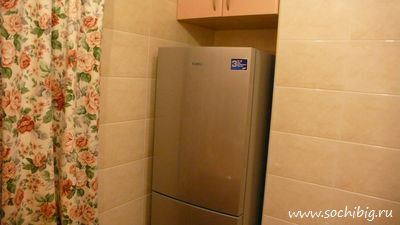 Rooms are isolated - a hall and sleeping room, the kitchen equipped with necessary home appliances. 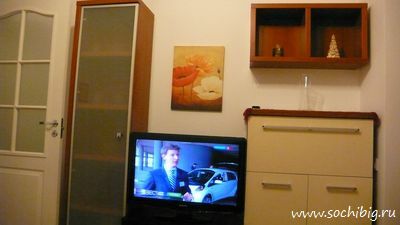 Plasma TV, with possibility to look cable channels, Wi-Fi, conditioners, a water heater. 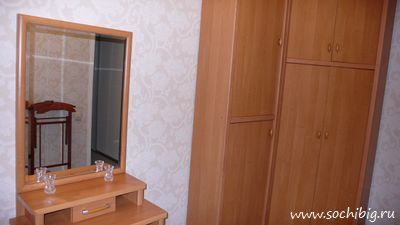 The apartment is ideally suited for residing of two persons. 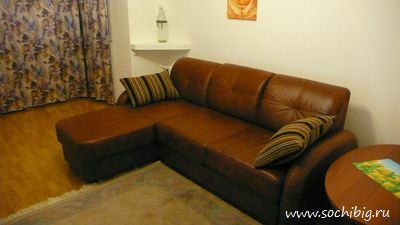 Berths - a 2-sleeping bed in a sleeping room and a folding sofa in the hall. 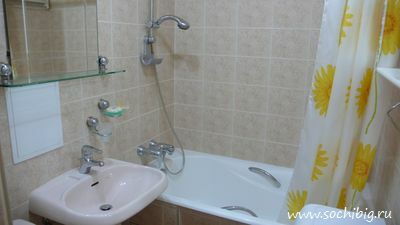 The minimum term of booking is 10 days, cost is 3500-4500RUB for a day. 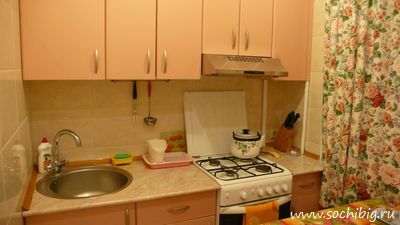 The apartment is conveniently located in the center of Sochi near to park Riviera, in 7 minutes by walking from a beach. 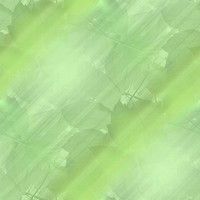 In 5-10 minutes of walking from the house there are market, supermarkets, cafe, bars, restaurants. To R/y station and road service station about 15 minutes by walking, as much on time to the Seaport and the central quay. Points of excursion service also are nearby and will offer you sightseeing tours of Sochi and the vicinities, including Olympic Park and Rosa Khutor ski resort in Krasnaya Polyana.